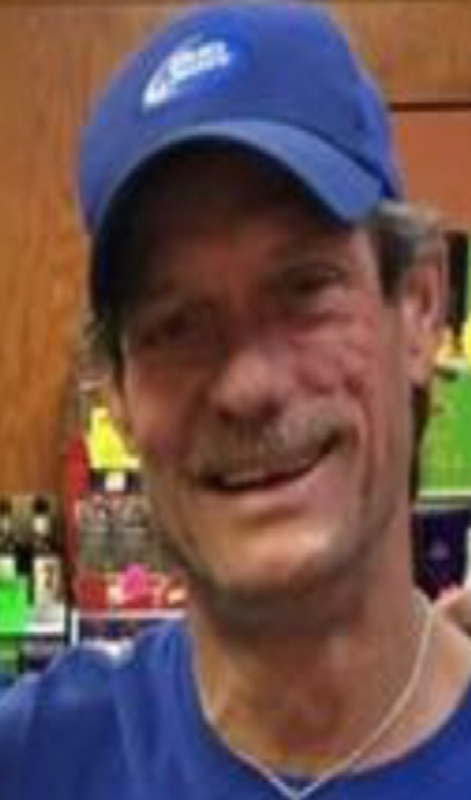 Johnny Lynn Spitzer, resident of Tulsa, Oklahoma, passed away on Saturday, October 6th in Tulsa, Oklahoma at the age of sixty years old. Johnny and his twin brother Daniel were born on Easter Sunday 1958 in Tulsa, Oklahoma to J.D. and Joan (McCraw) Spitzer. Johnny attended Grimes Elementary, Nimitz Junior High School and was a graduate of Mason High School class of 1977. He married Mary Genet December 12, 1978. Together they had two children Jason and Erin. Johnny loved working with his hands. He was employed by Mill Creek Lumber for many years. Johnny enjoyed working seasonally alongside his father selling Christmas trees and fireworks. Johnny loved spending time outdoors and fishing. He will be sadly missed by his siblings Deanna (Spitzer) Phillipe and her husband Bob of Tulsa, Jeannie Spitzer of Jenks, twin brother Daniel and his wife Rene’ of Tulsa. His children Jason Spitzer of Tulsa. Erin (Spitzer) Kiker and her husband Scott of Inola. Nicole Simms and her husband Jason of Slidell, Louisiana. Grandchildren Tyge Spitzer of Tulsa, Karsyn and Case Kiker of Inola. Brenden Schlaeppi, Lexi Simms and Braxten Simms of Slidell, Louisiana. Johnny is proceeded in death by his parents J.D. and Joan Spitzer and nephew Benjamin Spitzer. A service of remembrance will take place Saturday, October 13, 2018, at 12:00 p.m. at Asbury United Methodist Church, Mason Chapel. In lieu of flowers, the family has requested donations to be made in his name to 12 & 12, Inc. by visiting www.12and12.org or by calling (918) 664-4224. Prayers for comfort for the family during this difficult time. Johnny will forever be close to my heart. Rest in peace dear Johnny, until we meet again…. Sending loving and healing prayers to all of you. May the Lord grant you strength during this very difficult time. I have wonderful memories of Johnny from the dock at NPC, snowy nights at the Christmas tree lot, hot July days and fireworks. Thanks for the memories Bro! My deepest sympathy to this family. Sending healing and uplifting thoughts to each of you. Erin…. You know my thoughts and prayers are with you always and there’s nothing I will not do for you!!! I’m so sure that your dad is so proud of the success that use made of your life that he’s looking down on you and being very proud just like we all are…. God-bless you always my good friend…. I wish you peace and comfort always!!! This man never made me feel like so many others in life have. Always made me feel welcomed and equal. This is a personal thing I shared with Uncle Johnny. “Tell the piper his debt is paid”. and I’ll see you on the other side. Thank you uncle Johnny for never looking down at me. tell Aunt Steph. And Mom they are missed as you will be as well. RIP Unck. Many prayers to the family, countless memories of Johnny. I will see you on the other side of the mountain.Rest in peace my friend. We are sorry for your loss. Praying for and thinking of you and your family in this time. Wishing you hope in the midst of sorry and comfort in the midst of pain. Johnny you will be missed. Say hello to the gang when you see them I’m sure they were waiting to greet ya. Rip bud keep a seat warm for me see ya when I see ya. Johnny and Danny were always so nice at Nimitz. I’d run into Johnny at Brownies or other random places through out the years and it was always fun catching up on years past. Such a wonderful smile and laugh. I’m sorry for his passing. He was a good man. My sincerest condolences to all of his loved ones. I am so sorry to hear of this loss. Johnny was such a great guy and I have such wonderful high school memories with him. My condolences for his family. RIP, Johnny! Johnny was more than a friend to me, I considered him my brother. May he rest in peace. He will always hold a very special place in my heart forever and always. Johnny will be truly missed he was more than a friend to me and my family, he was a brother. He had a heart of gold. Will forever be loved and missed and never forgotten. May you rest in peace my sweet, sweet friend.